It’s Week 3 of Summer STEAM Camp and we’re exploring our sense of smell. It’s such an amazing thing. It creates strong memories, it can make us want some food and it can even make us sick. But did you know it can be tricked, too? 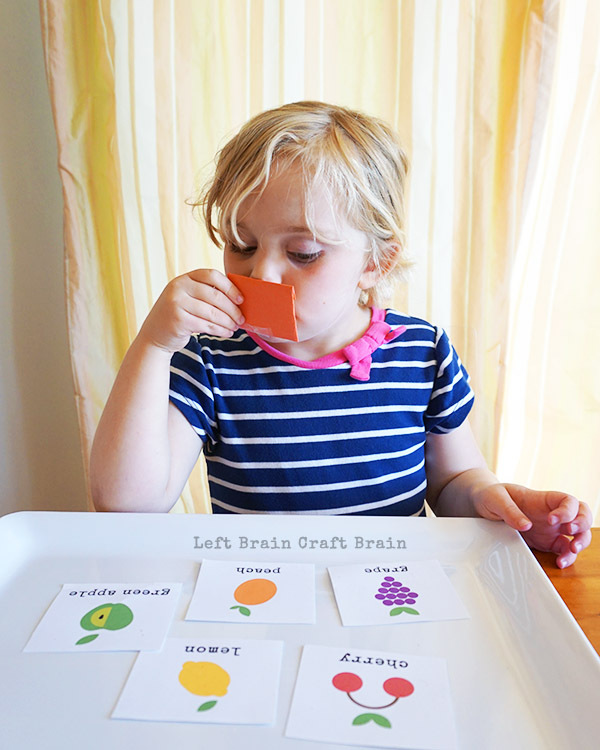 Experiment with how our senses work together with these fun and fruity experiments. This post contains affiliate links. Our sense of smell is part of our chemosensory system. Our noses are filled olfactory sensory neurons that sense these molecules in the air and send messages to the brain. These molecules reach the sensory neurons in two ways, straight through the nostrils and up through the roof of our mouth. 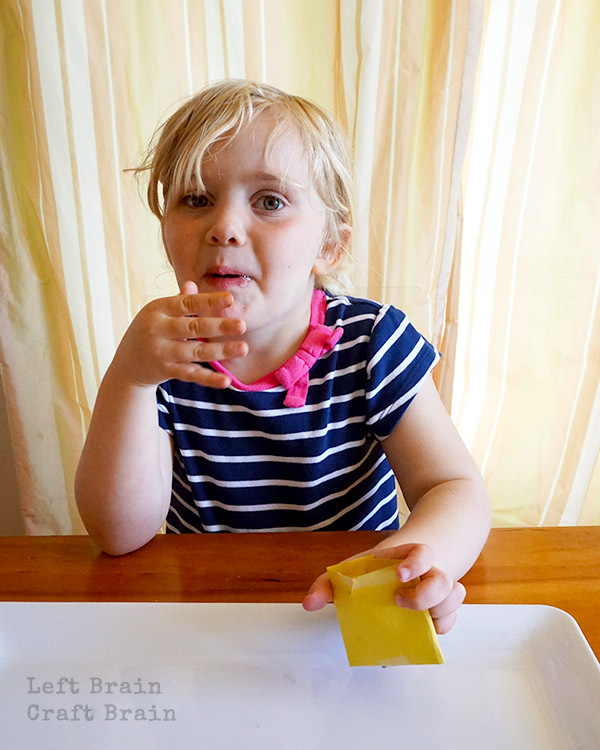 The mouth pathway is why smell is so important in the food we taste. Our senses are interlaced together because the processing network for each sense is nearby in our brains. It’s called synesthesia when we associate multiple senses together. For example, if you smell lemon, do you look around for something yellow? Everyone experiences a level of synesthesia, but some people have more extreme cases. They may associate colors with letters or numbers or sounds with scents. For another fun way to learn about the brain, try this Play Dough Brain. Now let’s try to trick our noses! 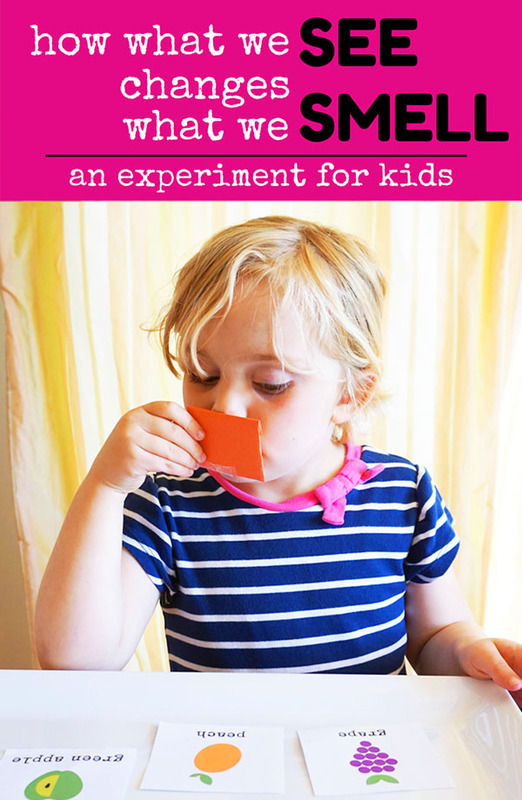 To make the smell packets, cut a 5″x5″ square of paper for each color. Fold up the bottom about 75% of the way (this leaves an open tab at the top). Fold each side in and tape. Fill with a teaspoon of Kool-Aid and fold down top tab. Tape closed. 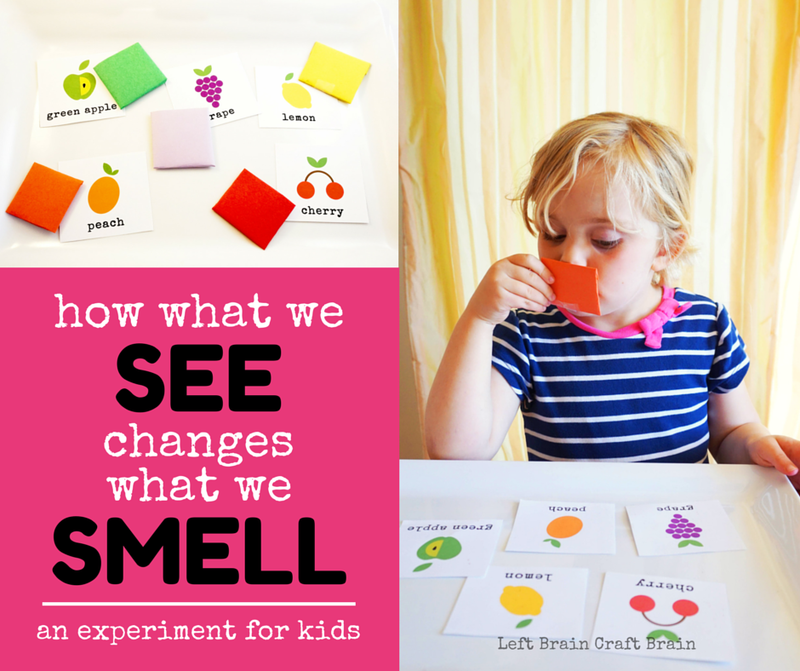 Then print out the Smell vs. Color Printable and cut out the squares. The first step was to have my daughter create a hypothesis. Which flavor is in each packet? 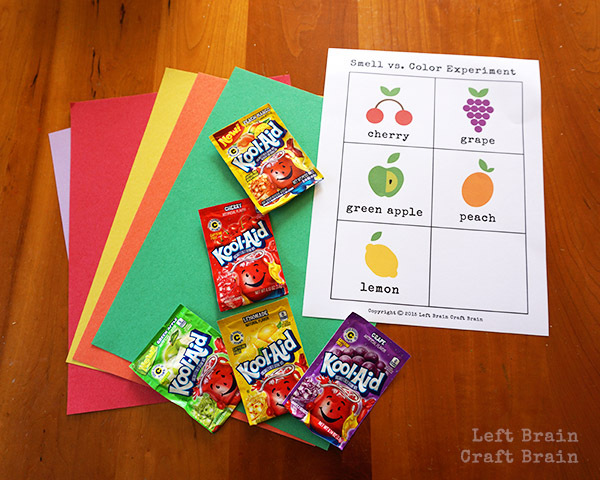 Put out 5 packets, one in each color, and the fruit cards. Have them match the packet to the fruit card without smelling. 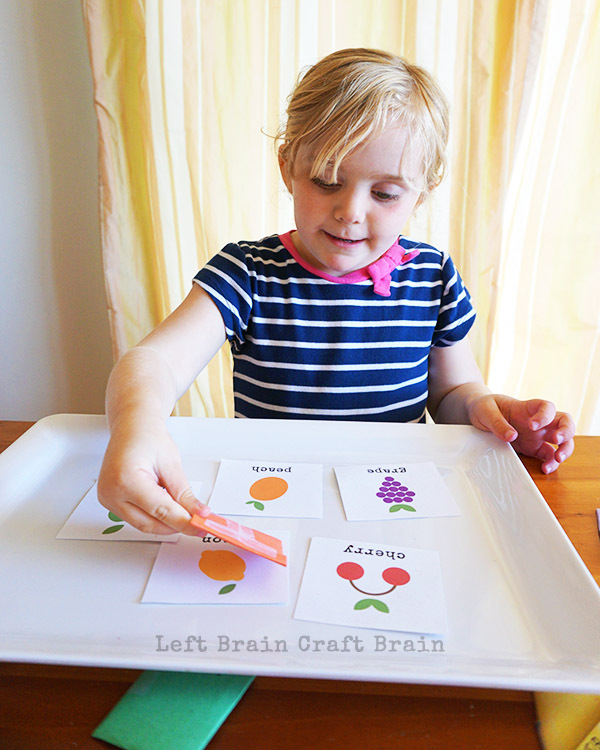 Next, have your kiddo sniff each of the packets and place them with the fruit card that matches. How did the match up go? You can double check their matching with the codes on the back. Why did you make your hypothesis (for example, match red with cherry)? Can you figure out the codes on the back of the smell packets? This turned out to be one of my daughter’s favorite parts of the experiment. In case you’re worried that this experiment will make your kiddo want too much Kool-Aid, just have them taste the powder. This is my daughter post-tasting!! Summer doesn’t have to mean that learning takes a vacation. 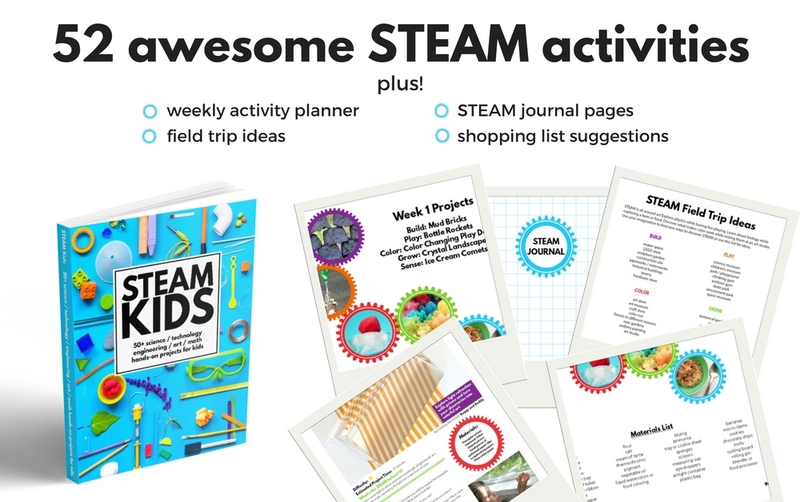 So I’ve teamed up with some of my favorite bloggers who all love STEAM. Because learning with Science, Technology, Engineering, Art & Math gives kids the power to do almost anything they can dream up. And these projects show that you don’t have to give up summer fun for a little bit of learning. This week’s topic is all about things you can SMELL. 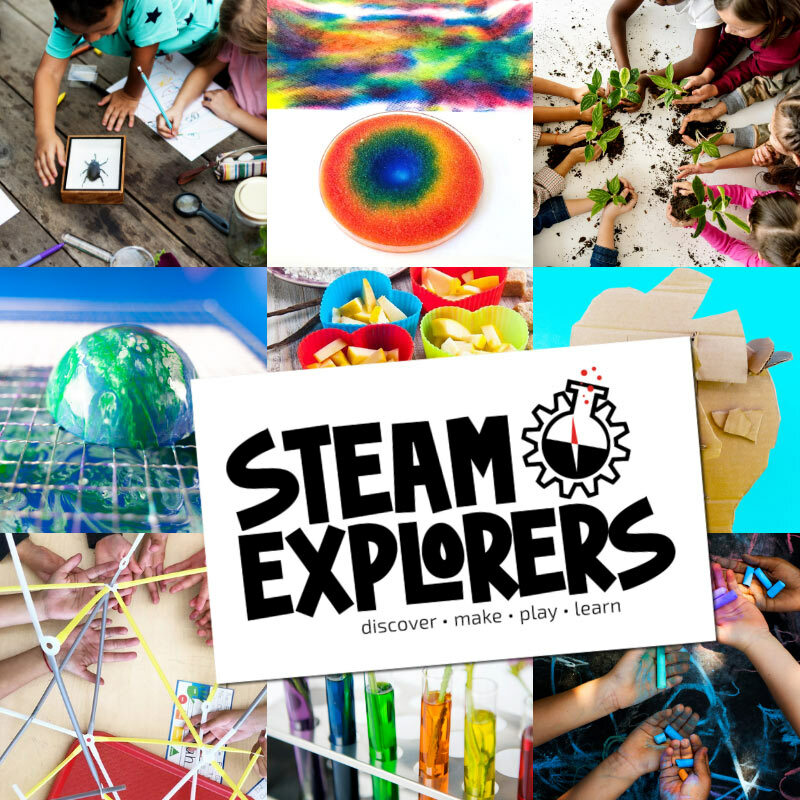 Did you see how we Feel STEAM with a Travel Geoboard ? Or See STEAM with a Magnetic Field Sensory Bottle ? Be sure to follow along for the next three weeks while we Smell, Taste and Hear STEAM. 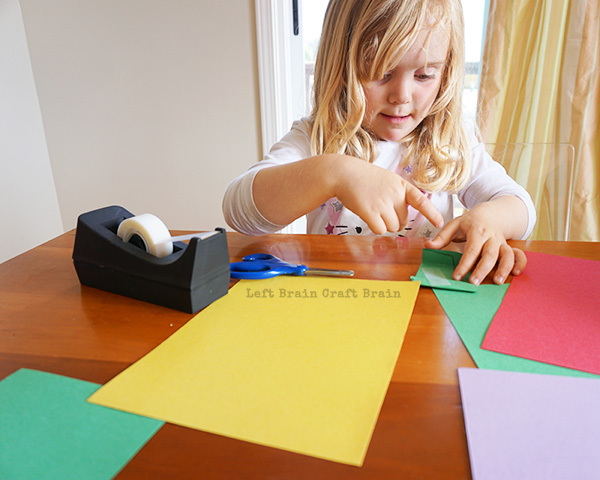 Join the Left Brain Craft Brain mailing list for creative STEM + Art ideas for kids, right in your inbox. You can actually buy the screws from the local store where I bought them. Tap Plastics (http://www.tapplastics.com/). I’m lucky enough to have one around the corner from my house and I always go there for project inspiration. I saw that they ship to Canada for $10. What fun idea! I love that you used Kool-Aid and the printable is perfect!